Heading out and exploring your own backyard is one of the best ways to spend your school holidays. Thankfully Australia is full of great family holiday destinations, whether you’re exploring cities along the popular east coast, hopping between pristine beaches and national parks along the west coast or heading to Australia’s vibrant Red Centre. Full of must-see UNESCO World Heritage sites, stunning surf beaches, historical precincts, fantastic activities and beautiful mountain ranges, there’s plenty to see and do with kids in Australia. Cable Beach, Broome, Western Australia. Image Credit: Phil Whitehouse / CC by 2.0. One of Western Australia’s spectacular coastal gems, Broome proves that there’s more to the country’s largest state than first meets the eye. Located around 2,000 km north of Perth in the Kimberley region, the waterside town is home to ancient dinosaur trails, incredible Indigenous experiences and, of course, the famed white sands of Cable Beach. 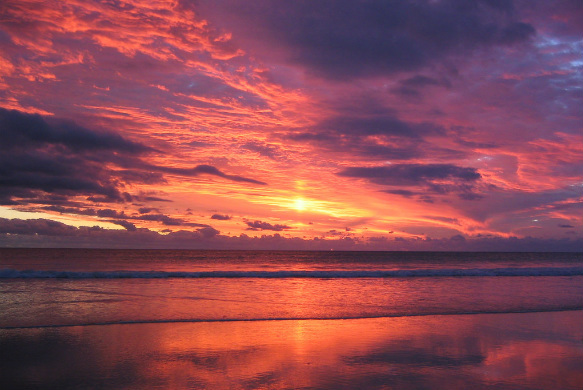 Covering more than 22 km in total, Cable Beach is one of the region’s biggest attractions and is perhaps best experienced at dusk, when the setting sun casts a myriad of spectacular colours across its waters. Explore on foot or set out on a camel ride with unforgettable views. Gold Coast, Queensland. Image Credit: Petra Bensted / CC by 2.0. 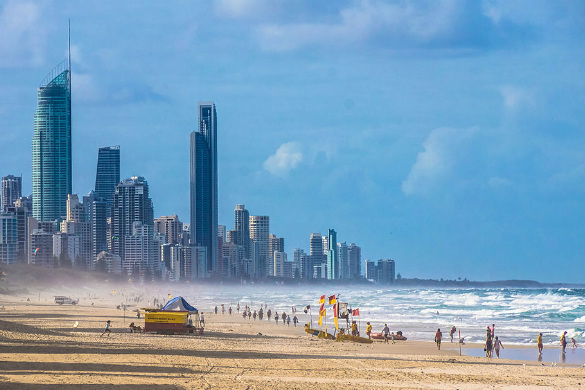 Located less than 100 km from Brisbane, the Gold Coast is perhaps best known for its glitz, glamour and beautiful beaches. Home to some fantastic family-friendly attractions, the Gold Coast also happens to be a great holiday spot for visitors of all ages. Kids will love the local theme parks, such as Sea World, Dreamworld and Warner Bros. Movie World, while the sun kissed beaches and local wildlife parks provide the perfect backdrop for some quality family time. From indoor skydiving and go karting to putt putt golf and animal encounters, there are plenty of ways to keep your little ones entertained across this popular Queensland region. Anzac Parade, Canberra, Australian Capital Territory. Image Credit: Thennicke / CC by SA 4.0. 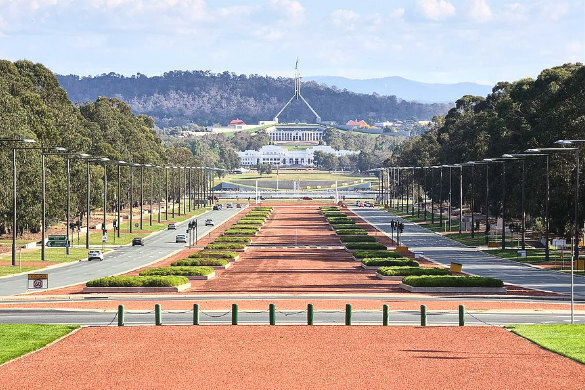 While you might associate the city with politics and and cold weather, Canberra offers plenty of great things to see and do with the family in tow. Home to world-class art galleries and museums, the National Zoo and Aquarium, and Questacon (an educational and interactive science centre), there are plenty of ways to while away the hours across the Australian capital. Explore the fantastic assortment of cafes scattered throughout Canberra’s suburbs and be sure to pack a jumper or two if you happen to be planning a visit during the cooler months. Sydney, New South Wales. Image Credit: Matthew Field / CC by 2.5. 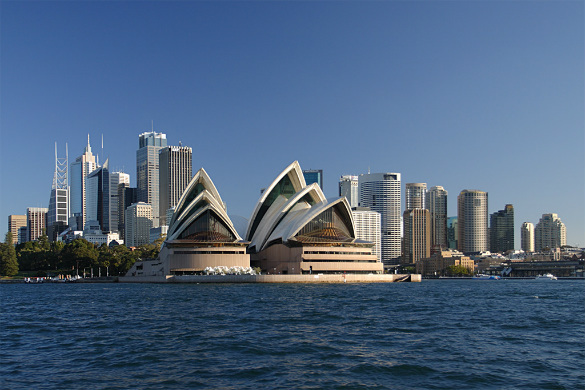 As one of Australia’s most popular destinations, it come as no surprise that Sydney, known as the ‘Harbour City’, is home to more than its fair share of family-friendly activities. Plan a visit to Taronga Zoo or the iconic Luna Park, enjoy a scenic ferry ride across the harbour or spend some time building sandcastles on Bondi Beach. With amazing restaurants and plenty of great museums and art galleries to check out, you’ll find no shortage of ways to spend the day in Sydney, rain, hail or shine. 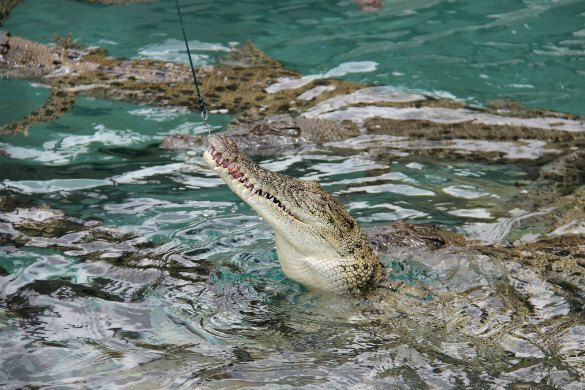 Crocosaurus Cove, Darwin, Northern Territory. Image Credit: Gary Bembridge / CC by 2.0. Situated in the country’s ‘Top End’, Darwin is a tropical territory capital that boasts natural beauty, a fascinating history and experiences that cannot be found elsewhere in Australia. From wildlife parks and fantastic weekly markets to close encounters with some of Australia’s incredible native flora and fauna, across the city and its surrounds you’ll find plenty to see and do with the family. If a 4WD adventure is more your thing, Darwin is a great starting point for discovering more of the mesmerising beauty of the Northern Territory. 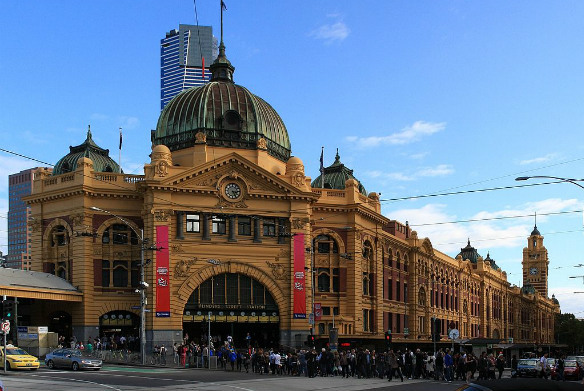 Flinders Street Station, Melbourne, Victoria. Image Credit: Adam J.W.C. / CC by SA 2.5. Known as Australia’s culture capital, Melbourne is home to countless restaurants and cafes, wonderful museums and art galleries, and one of the country’s best live entertainment scenes. Catch a musical on one of the city’s theatre stages, learn about the history of the world around us through engaging interactive exhibitions, or spend some time unwinding within the grounds of the Royal Botanic Gardens Melbourne. If your little ones love sports, be sure to catch a game of world-class AFL, tennis or cricket during your visit. Cairns Esplanade, Cairns, Queensland. Image Credit: Alex Monckton / CC by SA 3.0. A stone’s throw from the world’s largest coral reef, Cairns, found in Far North Queensland, offers no shortage of family-friendly accommodation, fantastic natural attractions and great ways to keep your whole tribe entertained. 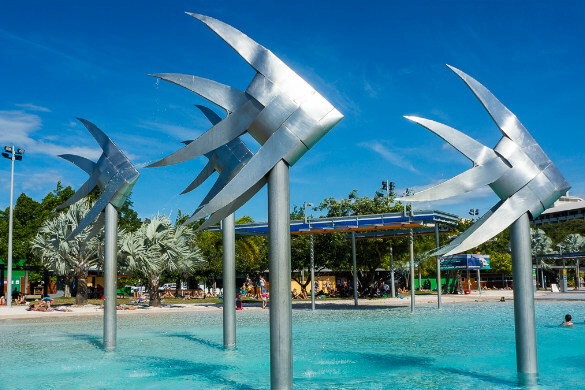 Just a short drive from Cairns, you’ll find some fantastic beaches, while the patrolled Esplanade Lagoon in the heart of the city provides a perfect safe swimming spot for cooling down with the kids. Spend time exploring the beautiful national parks surrounding the city, enjoy a day trip out to the Great Barrier Reef or head north to the ancient Daintree Rainforest. Seal Bay, Kangaroo Island, South Australia. Image Credit: Dualiti Photos / CC by 2.0. 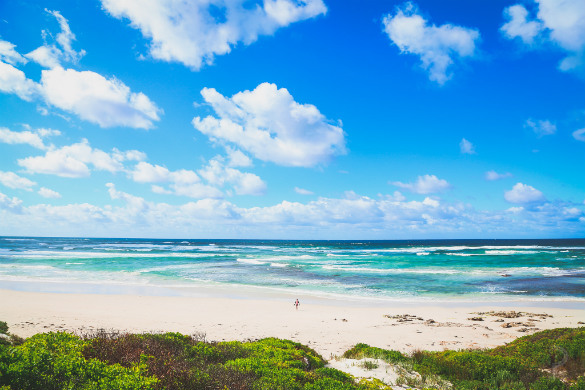 Considered to offer some of Australia’s best wildlife experiences, a trip to Kangaroo Island provides the perfect opportunity to kick back and reconnect with nature. See kangaroos, echidnas, koalas and native birds in the wild, while away afternoons discovering untouched beaches or spend time simply admiring the spectacular landscapes that are so abundant across the island. Enjoy a family hike, build sandcastles along the island’s 509 km coastline or join a guided tour and see some of the best sights this incredible destination has to offer. At just a 45 minute ferry ride from mainland South Australia, the island is quite easily accessible but seems like a world away from everyday life. Hyams Beach, Jervis Bay, New South Wales. Image Credit: Charliekay / CC by SA 4.0. 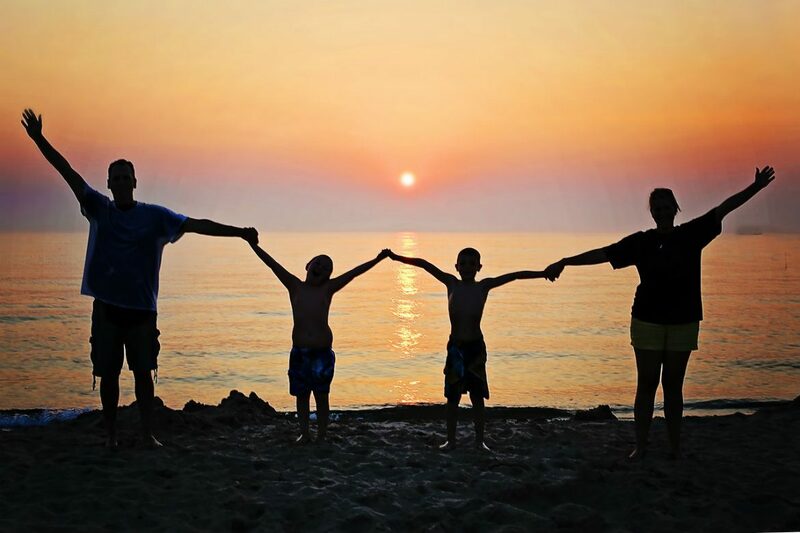 Sometimes a city break is a great option for your family, and other times you simply need to escape the stresses of daily life with a classic beach holiday. Brimming with beautiful beaches, spectacular expanses of wilderness and fantastic attractions, New South Wales’ South Coast is a destination well worth exploring. 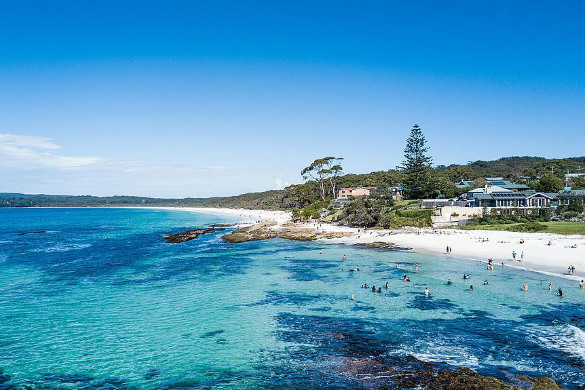 Laze on some of the whitest sands in the world in Jervis Bay, have fun out on the water with a dolphin watching cruise, or spend time checking out local sights such as the Kiama Blowhole. Stretching from just south of Sydney through to the Victorian border, there are plenty of charming towns and villages to visit along this wonderful coastal stretch. 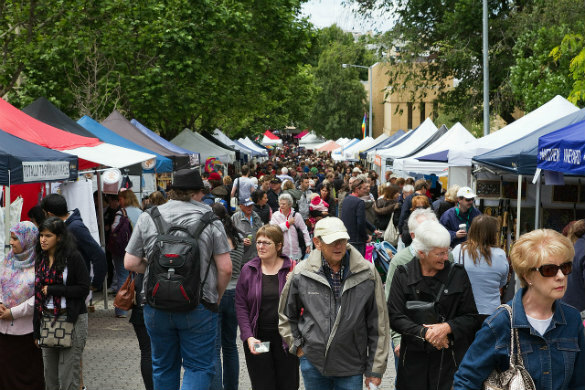 Salamanca Market, Hobart, Tasmania. Image Credit: JJ Harrison / CC by SA 3.0. Surrounded by incredible scenery and remarkably abundant in both heritage and culture, Hobart, the Tasmanian capital, is one of Australia’s true southern gems. Perhaps best known for its award winning restaurants, there city also provides the perfect backdrop for a family holiday, with an assortment of activities and attractions to choose from. Enjoy a leisurely weekend stroll through the iconic Salamanca Market, get arty with a visit to MONA – Museum of Old and New Art or head out on a day trip and explore one of the country’s best preserved convict sites, Port Arthur. Looking to book your next family holiday? There’s plenty of holiday deals to get you started on your next holiday. Compare cheap rates on domestic flights, hotels, holiday packages and more, and plan your next family friendly journey. Brisbane River in Brisbane, Queensland.